Spray Nozzles, Tank Cleaning Equipment and Filtration Equipment. Manufacturers and suppliers of standard and specifically designed spray nozzles, IC Spray Ltd offers a comprehensive range of industrial Spray Nozzles, CIP - Tank Cleaning static, rotary and jet spray heads and static and self cleaning filters, for all aspects of spray technology and associated equipment. IC Spray Ltd has built its reputation on customer service, technical advice, working together with people and organisations to provide cost effective solutions for their spraying, cleaning and filtration requirements. 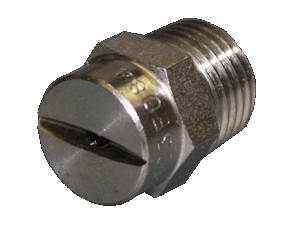 We are specialists in the supply and manufacture of industrial spray nozzles in a variety of materials, including brass, stainless steel, "specialist materials" and plastics, including PVC, Polypropylene and PVDF. These materials can be complimented with nozzle tips and orifice inserts in a range of materials, including tungsten carbide, sapphire, ceramics and hard metals. Flat spray, full cone, hollow cone, misting and fogging spray patterns are normally available in these materials. 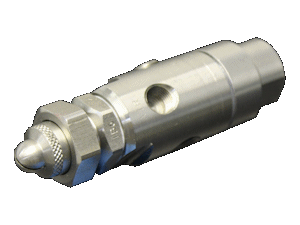 Included in IC Spray Ltd's comprehensive range of over 30,000 different products, are their High Pressure Nozzles. Their unique design ensures accurate spray patterns with stable flows and long lasting capabilities whilst working at pressures of up to 400 bar. 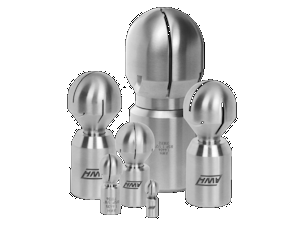 Air atomising spray nozzles are a key component in meeting our client's spray needs. Combining air and the spray liquid together offers the potential for very fine spray mists, shut off valves, orifice cleaning and the possibility to spray viscous materials. When it comes to CIP and tank cleaning equipment, IC Spray Ltd represents AWH in the UK and Republic of Ireland, offering a comprehensive range of both static and rotating spray and jet heads. This combined with IC Spray Ltd's experience in the world of spray nozzle technology, tank cleaning equipment and associated filtration offers our customers a compete technical solution to their vessel and tank cleaning applications. In addition to the spraying side of our activity, IC Spray Ltd offers a comprehensive range of static and self cleaning filter equipment. 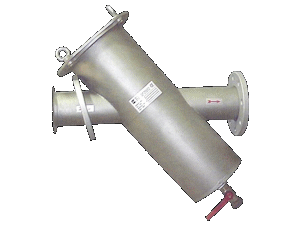 Designed to meet today's exacting requirements, these in line filters could be located pre or post pump position to suite. Our filters are found in food technology, chemical processes, environmental applications, the pulp and paper industry and steel manufacture. Our experience has been developed over many years and we understand that with all the different spray nozzle variations it may be sometimes a confusing and overwhelming experience. That is why we are here - to assist you in a friendly and informative way to reach the right solution for you. For technical help, on site service , price and delivery or just some advice, contact us on +44 (0) 1244 371167 or email us on sales@icspray.co.uk. IC Spray Ltd, The Innovation Centre, Vienna Court, Kirkleatham Business Park, Redcar, S10 5SH.